It's tournament time and there is so much excitement about our tournament bracket boards it's Madness! Tournament bracket dry erase boards track up to 64 teams. 64 teams are a lot to keep track of but now you can do it with ease. Give things like college basketball tournaments and other sporting events the attention and respect that is due! 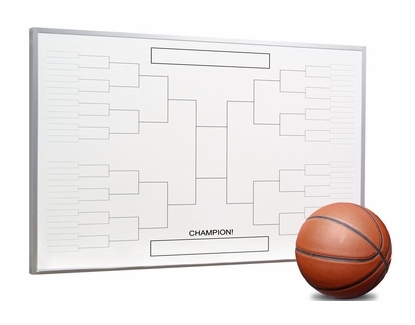 Break out your 2'x3' tournament bracket board from OptiMA™ each March, and go to work. This awesome dry erase board lets you, your friends or your customers follow the tournament game by game. 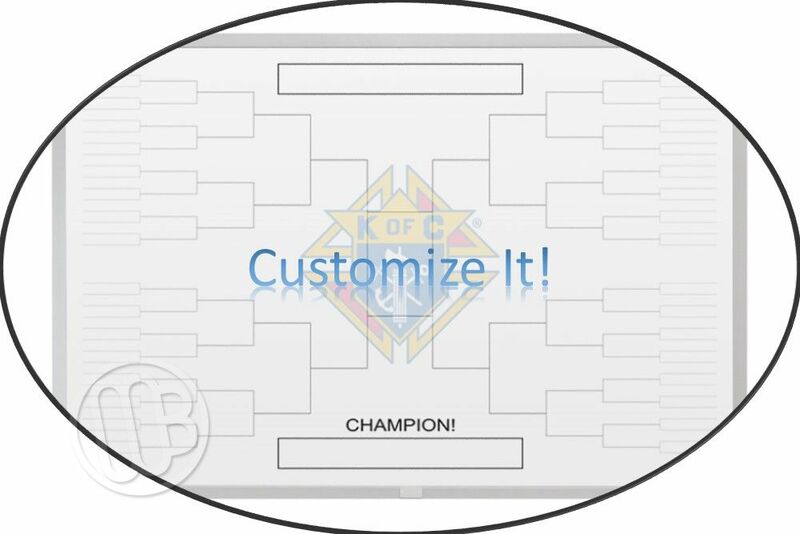 Leave the board hanging up in your sports room and show off your love for the tournament and let your friends know you mean business. 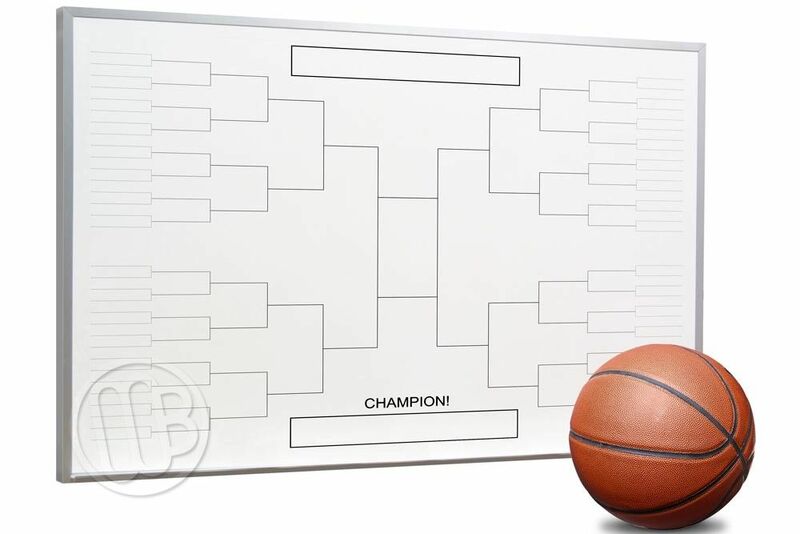 And next time you are planning a tournament between friends be it a horseshoe tournament at your cookout or a billiard tournament in the game room, use your bracket board to keep track of the match-ups. Don't have 64 teams? Simply use only what you need, it's perfect! 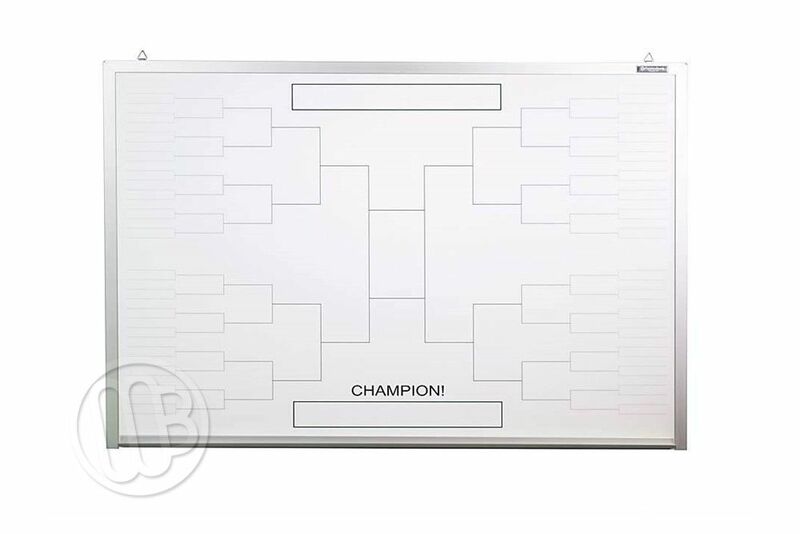 This 2' x 3' tournament bracket dry erase board has an anodized aluminum frame and a full length marker tray. These dry erase bracket boards have a premier non-magnetic writing surface that is guaranteed not to ghost and it comes with a 5 year warranty. Want to customize the board? Give us a call we can set these boards up with a custom bracket layout, we can add your name, pictures, graphics or whatever else you can imagine! Just give us a call! Bars, clubs, camps, organizations.. do you have sponsored tournaments? Have your sponsor purchase the board for you and allow them to put their branding on it, it's a win-win!